Hosts are the actual physical servers that holds the virtual machines. You will be able to add hosts to a plugin through our plugin manager. 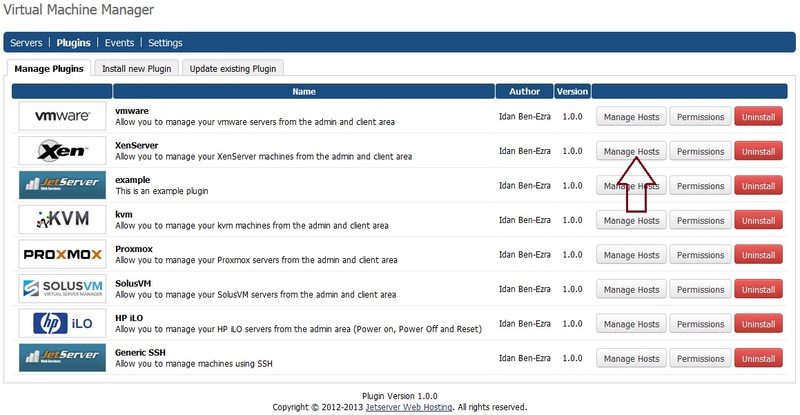 Virtual Machine Manager -> Manage plugins -> Click on “Manage hosts” on the desired plugin. On the following screen you will find a form in which you will be able to fill the server login information – hostname / ip, ports, user & pass.